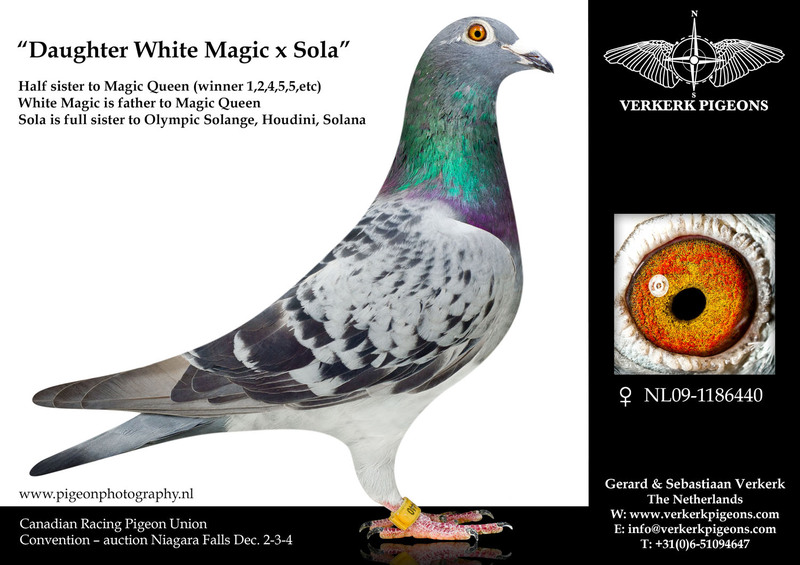 “Magic Sola” is a Bas & Gerard Verkerk hen. Her mother”Sola” is a full sister to “Olympic Solange” top racer and breeder for Verkerk. Her father BE07-6229191 “White Magic” is a son of the BE02-635421 “Wittekop Sylvester” L.B.J. Geerinckx. She is without doubt the best breeding hen on my loft.